In September 2017 we launched the auditions for the whole school production of Peter Pan. Peter Pan could not have been successful without the support of many staff members. Thank you to all of those that were involved in putting the show together, from lighting and staging, to ticket selling to sorting out back stage, to playing the piano constantly, to setting up chairs to making props, to moving the detentions so we could use the space. Thank you to you all and a big thank you to all the parents, friends, students and staff that came to watch the show. Amazing job to the cast of Peter Pan 2018! Erik Windrich, Tamara Faires-Back, David Cumbers, Amy Shovelton, Gopi Vekaria, Tony Gray, Cresta Hurt, Helen Snow, Sian High, Gary Froy, Mark Sokcanic, Emily Eastmond, Ben Tomlinson, Pete Wilson, Tony Sabag, Reshma Garara, Lucy McNeil, Tara Randall, Jenny Kincaid, Chris Beschi, Trevor Fordyce, Caroline Conway, Valerie Pope, Jackie Jacobs, Sophie Groves, Matthew Harper, Dave McCarthy, Kanji Pindolia and Kolarin Olatunde. Abitha Naganathan, Bhavni Joshi, Sharunya Ravindran, Yana Dhakan, Ayush Nayee, Xane Miles, Simran Joshi, Deborah Brobbey, Ruxandra Grigoras, Sofia Herawy, Alisha Khatri, Renee Worrell, Fawziya Haji, Adam Ornoch, Nicola Ablompah, Siraad Elmi, Samiya Hamel, Marina Reyes, Maaran Thirumanokaran, Tia Valji, Bianca Maria Cucos, Dylan Patel, Rona Subasinghe, Saris Dave, Johann Pereira, Amonn Chaudury, Samiya Hamel, Dian Wara, Danial Bakhtiari, Vidhi Limbachia, Abhishna Yogarajan, Grace Ojumu, Denisa-Ana Cucos, Jasmine Reid, Daniella Kenga Bila, Andrada Paduraru, Priya Bharadia, Jumana Elsheikh Ali, Nawazuddin Saiyed, Iniya Kumar and Saaleh Abanur. Art club, Sixth Form photography class, Sixth Form art class, Pauline Grobelna, Sarah Al-ShammariSpartakus Jabczynsk, Reyon Williams, Bansi Dangar, Nicole Rajaratnam, Sudar Raswaran, Kieran Patel, Nouh El-Quaz, Baheej Ahmadzad, Iman Chaudhry, Kangana Patel, Yassmin Hassan, Nicoleta Juravle, Seema Shaikh, Zara Ahmed, Vidur Shamji, Nathan Morgan-Smith, Nansi Antypa, Daisy Constantinou, Shauntae Sadiq, Zahra, Rahul,Mia, Layla, Marimar, Livyashri Mathialagan, Ria Tanna and Bhavika Patel. 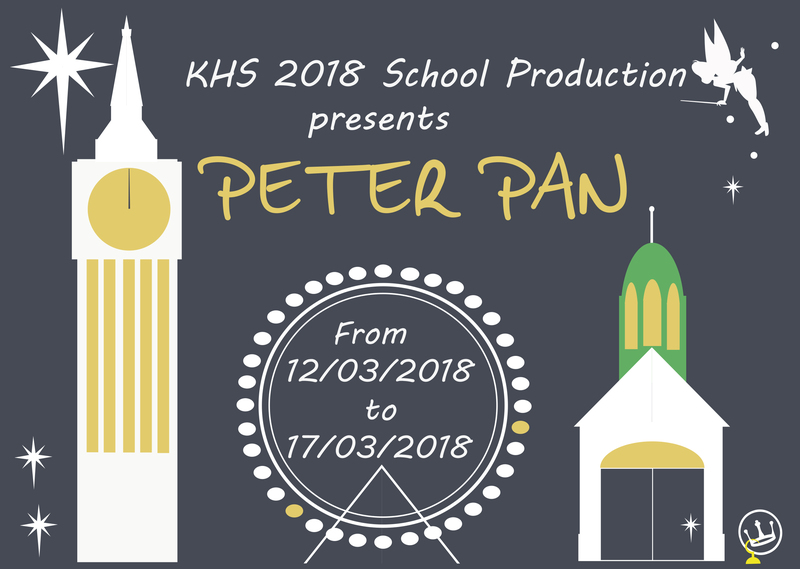 KHS is excited to announce that this year’s school product is Peter Pan! Over the last two weeks we were holding a number of workshops and auditions to launch the production. The auditions for the cast had an amazing turn out with over 60 students performing on stage for the chance of a main role. The Schools’ expressive art department is thrilled to have so many talented students at Kingsbury High School and it was great to see them shine. The audition panel had a great time and really enjoyed the evening. Special thank you to the Six Formers for their help and the staff that attended and supported the evening. Congratulations to all the students involved in the production, we are excited to work with you all and make this our best show yet. Save the date, the show dates are 12th March 2018 to the 17th March 2018.